It has been a month since my last update so I made sure you get a proper dose of relevant crypto information. A lot has happened in the past weeks. New York hosted its Blockchain Week, even though some of the crypto rockstars decided to boycott it. 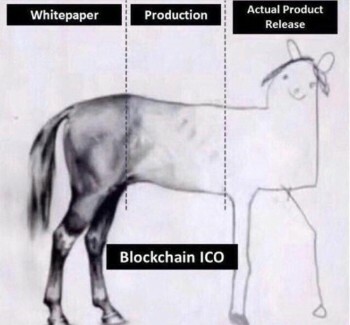 By the way, do you too feel like that ICO hype is slowly fading away? If you wonder why is that, it may something to do with the picture below. Some even suggest that ICOs are like cancer. Do you agree? – Amazon was granted a patent for tracking Bitcoin transactions. – Bitcoin got really popular in Georgia. – Goldmans are about to open Bitcoin trading operations. – Sum up of things to know about Lightning Network. – Nice overview of BTC forkdrops! – Awesome visualization of crypto market cap! – Mt. Gox cold wallet monitoring. – How to setup a lightning network node for Litecoin on Mac! – Update on the state of scaling by ConsenSys. – A piece explaining how OMG and Plasma fit together. Also, an practical look at Plasma. – Is 0x the future of decentralized exchanges? – Have you heard of Decentraland – bringing the VR world onto Ethereum? – How will identity system work on Ethereum? – Vitalik’s latest on liberation through decentralization. And he is not the only one to appreciate decentralization. – The Korean Peace declaration was recorded into ETH blockchain. – It seems you will need to have 1500 ethers to be able to test staking in Casper. Or maybe 32? – ERC948 – finally subscription services on the blockchain? – Will Dai be the one in the realm of stablecoins? – An analysis of PoW reward reduction coming with Casper. – Bancor seems to be onto something with its FIAT gateway. – Goldman Sachs launched their own stable coin via Circle, which gets quite some funding. – Update from DigixDAO related to governance. – Maybe you noticed that Vitalik criticized EOS – here is their response. – EOS’s Daniel Larimer wrote a piece on limits of crypto governance. – Is Holochain truly evolution of cloud computing? – Update from CryptoBridge’s roadmap. – Kyber Network integrated with MEW, released quarterly update, and their CEO also wrote up a letter. – Bcash upgraded to 32 MB blocks. – Privacy Cryptocurrency Matrix comparing all the coins focused on privacy. – OmiseGo released a new roadmap – super exciting! – Vechain gets lots of traction recently – let’s look under the hood of its consensus mechanism. – Aragon is introducing AragonOS, and decentralizing its development. – Soon we can play around with smart contracts on Waves. 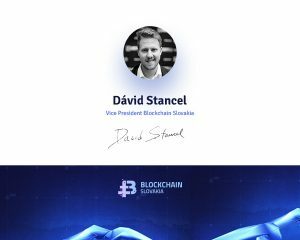 – Update on development from the Sia team. – Interview with Bancor people. – Aion launched main net! – Binance’s success has ben tremendous in the past months. Its future might be not. – How consensus mechanisms work in blockchains and how it is related to governance. – Binance Labs has been launched. – There is a new cool tool on the block – Totle – a portfolio tool that allows you to trade on various decentralized exchanges. – HSBC bragged about making a first trade finance transaction using (not really) blockchain. – Thailand Government came with a new legal framework for crypto. – Sia folks wrote up an interesting piece on the state of mining. – StarkWare Industries – a company focused on researching zero knowledge proofsjust kicked off! – Nice piece from Andreessen Horowitz on the big picture of crypto and considerations for regulators. – Amazon now offers Blockchain templates!